Teaching young children is one of the greatest possibilities to get rare insights into how language is being acquired, and sometimes into how language itself is being created. Experience mimicking and synchrony! Sixteen years ago I had a busy and exciting summer. 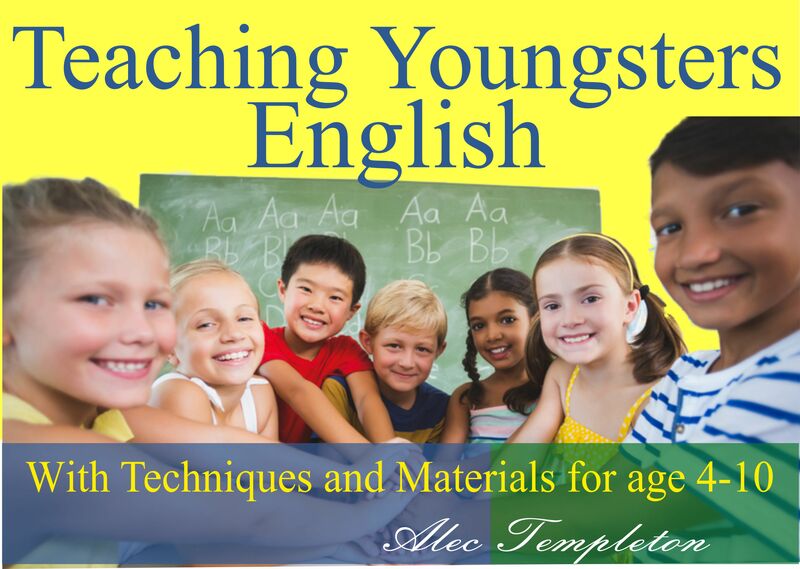 I was preparing for teaching English and Spanish to primary classes at a Waldorf school. After having teaching experience only with adults this was a big challenge for me. In fact that was the reason I accepted this job. I learnt to play the flute, different verses, nursery rhymes, songs, clapped the rhythm of songs and tried to find out how to stand in front of small children and how to introduce a song, a poem, a tale or whatever, and what is going to happen in a lesson of 25-30 minutes. I thought before it would never happen in my life to teach foreign languages to small children. The world of children is a different world, you have to talk to them in a different way. Therefore it is a big but very nice challenge to change yourself into a child, or put it more precisely, it is a big but very nice challenge to reawaken the child living in us! 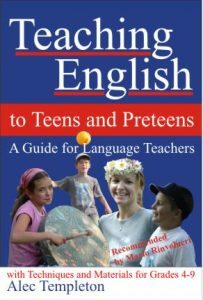 The most important argument on the side of early foreign language learning at school is that children grow into another language merely through their ability to mime the teacher and they develop speech ability in a foreign language, too, in a period when their speech organs are very flexible to form the sounds of another language. Alright, that sounds good, but what can I do with children in the lesson? And above all, I couldn’t use books, tapes or videos as a rule at this school! The answer is in fact surprisingly simple and is based on a very interesting phenomenon that mostly remains unconsidered and unused in state schools at lower classes. A small child, if untouched by such modern devices as computers and the television, feels a basic urge to mimic the adults in their environment – I have to add, that even children who get in touch quite early with the technical world of today will feel this urge if they have the possibility to mimic someone within the frame of a lesson. The teacher doesn’t have to do anything else than stand in front of the pupils and they will copy his movements his gestures and words, speech, pronunciation. Mimicry is an important element of life for the children until they lose their milk teeth. But even in the first years of school this is relatively strong enough to be of use for the teacher. 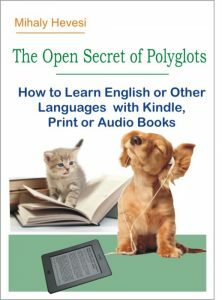 In a lesson like this even the intellectually mediocre or feeble children can have a fairly good achievement and can find joy in foreign languages. De facto the children are able to copy me in a fraction of a second. 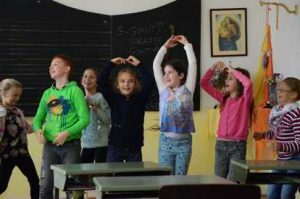 Thus the children experience the atmosphere of a language through the movements of the teacher, through the songs and verses. In that summer I had a bit of headache, as I was only theoretically prepared to do all that, even though I had visited some lessons of the class teacher. I couldn’t imagine that these little ones (class 1 and 2) will copy me in the same way in the English and Spanish lessons as they did with their class teacher. And I had another problem that most adults experience when learning rhymes songs and verses. I couldn’t learn so many by heart as I imagined to be necessary to fill a year’s lessons with. So I decided to learn some of them for the first 3-4 weeks and then gradually learn others as well, enabling me to be one or two steps ahead of the children. But in practice it was different. You don’t have to perform a concert or a show to the children with your repertoire, you are practising language, you are playing with them and the language of course. Things were much easier and instead of headaches I enjoyed the lessons and being with the children! We could repeat a verse for example several times; the first time in a normal voice, then in a lower voice and finally only to ourselves. In the first lesson I realized that children would like to have the thing I had brought along which made an allusion to the meaning of a text we were singing or reciting while making certain movements that described the text as well. We didn’t translate anything, and I used the mother tongue very rarely. For each song, verse or tale I had an object with me which was referred to in the text. The children were eager to get in their hands the lamp, the branch or maybe, in Autumn, a yellow leaf when singing, reciting or moving with me. But we had only one thing for each song or verse, so we had to repeat the texts several times, as almost each child wanted once to hold the thing in his or her hands when acting. So we managed to repeat a song or verse for 7 or 9 times (I usually got bored of it by the 7th or 8th time, but not the children. They couldn’t get enough of the actual thing I usually took out from the English box or Spanish sack. Later on I usually repeated a song or verse for maximum 6 times and tried to amuse myself by adding something to it at each time. Of course we did lots of things beside this, we played different games, or I told tales to them. But I was very grateful, as one of my greatest troubles was solved by this kind of meaningful repetition: how I could learn hundreds of verses. That was not necessary, 10-12 verses, 15-20 songs, 3-5 games will do for a year! One of the greatest experiences I had was while introducing a new song in my 3rd year of teaching small children. This happened in the first class. I usually introduced a new song by its melody. I played it on the flute then we just sang the melody humming without words holding each other’s hand and wandering in a circle. Then at the 3rd or 4th time I sang the text as well. The children usually looked very attentively at me and tried to sing along. Of course they usually hummed and tried to mime the movements of my mouth and get out the same sounds that I did. But this time there was a little girl next to me holding my hand who sang very clearly the song we sang for the first time. I thought she had a brother or sister in one of the upper classes, whom I may have taught this song to, and she may have learnt it from him or her, or probably from a playmate from a higher class. But it turned out that she hadn’t got a sister or a brother and she hadn’t heard this song at all before. I was astonished by this fact and I didn’t really know how this could happen, and even now I am quite unsure about a precise explanation. Finally I decided to explain this phenomenon partially by the synchrony studied by W.S Condon and W. D. Ogston in the US in the sixties. These two scholars studied communication between people, recording on film what they do when talking to each other. They filmed the movements with 100 slides a second and after studying their movements they concluded, when people talk to each other they mirror in a certain way each other’s micro-movements. In a certain way this is a kind of mimicry of another person. This happens in a fraction of a second and serves the understanding of each other’s messages. The power of synchrony appears in each human being right after birth. I think I could recognize synchrony in an active form with that very young lady in my lesson! Whatever strategies you find to solve your problems arising when teaching young people in primary classes, there are two things to be borne in mind above all: the first is the being of child in front of you and the second is the child within your own self!